The inaugural Shanghai Worker's Billiards Invitational Tournament was held at the Huangpu District Worker's Arena over the weekend. Shanghai Worker’s Billiards Invitational Tournament was held at Huangpu District Worker’s Arena. 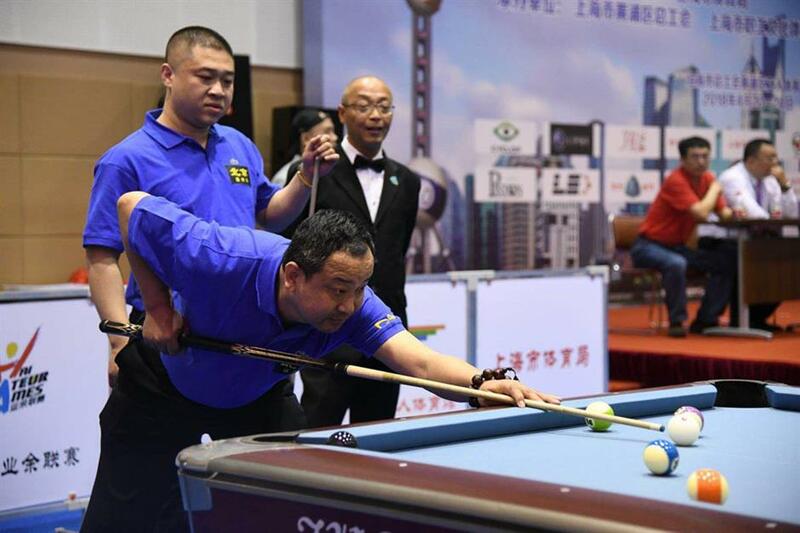 THE inaugural Shanghai Worker’s Billiards Invitational Tournament was held at the Huangpu District Worker’s Arena over the weekend. Jointly organized by the Shanghai Trade Union and the Shanghai Sports Bureau, the event featured 16 teams organized by worker’s unions from nine cities and provinces around the country. The three-day event had two phases: round-robin and knockout. Members of the champion and runner-up teams will have the chance to take part in the 9-Ball World Cup to be held in Shanghai next month. According to tournament rules, all participants had to be amateur players. The top 64 male and 32 female players, according to Chinese Billiards and Snooker Association rankings, were not allowed in the tournament to ensure a fair competition.